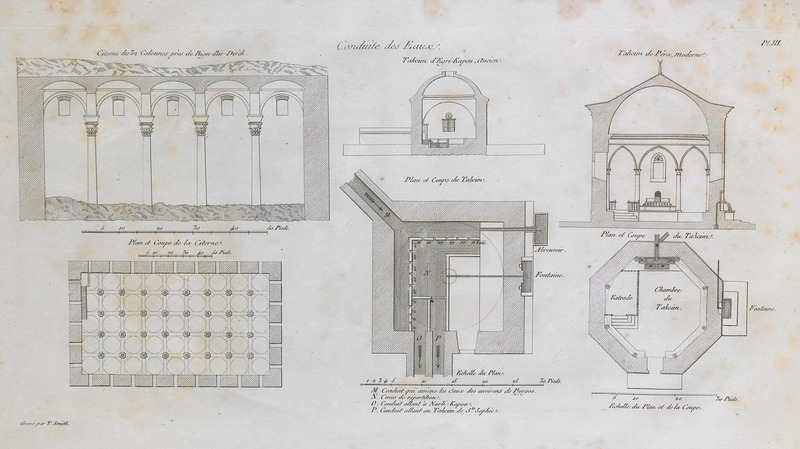 Elevation of the colonnade of a reservoir near Philoxenus Cistern, Istanbul. 2. Plan of said reservoir. 3. Vertical section of Egri Kapi reservoir. 4. Vertical section of Pera reservoir, at the site of modern-day Taksim square, named after the cistern (Taksim = cistern). 5. Plan of Pera reservoir.